Goku is back this spring for more action and Ki Blasts. Just like the previous movie, Kami to Kami, the movie explores a possible side story that could have existed after the Dragon Ball Z main story had ended. We see all our favourite Z warriors as they battle with a resurrected Frieza and his minions. How will Goku and his friends win this fight? Will Goku reach a new height as a Super Saiyan? We just have to wait and see. 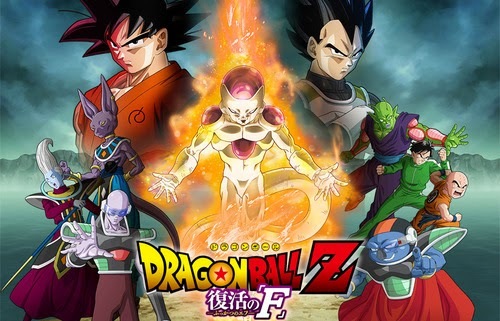 Dragon Ball Z: Resurrection 'F' is out across Japan in both 2D and 3D on 18th April.